Graeme Jacobs has been involved with the breed since he was a young boy. In the 60’s, he was showing dogs, before joining the German Shepherd Dog Club in 1986. Since then he has been involved in many areas both within the Eastern Branch and at Club level. It’s rare not to see Graeme down the club on a Saturday or Sunday fixing something, or managing Club Business. Instrumental in building and fitting out of the Eastern Branch Club House, serving on the committee for over 15 years in a number of roles including Assistant Branch Manager, Branch Manager and Breed Liaison Officer. Over the years Graeme has helped not only his own Branch, but many of our other Branches throughout the State, with repairs, maintenance, advice, and the like. Graeme’s assistance throughout the club has been incalculable, examples of this include the Clubs’ fundraising efforts for the Bluey Day in conjunction with the Victorian Police Dog Squad, and of course was one of the notorious 7 to have their head shaved at the time; His efforts to support the Good Friday Appeal even dressing up as a Rabbit to raise money; The running of the Eagle and Royal Cannin major sponsorship deals; Whenever something has had to be done Graeme has been there. 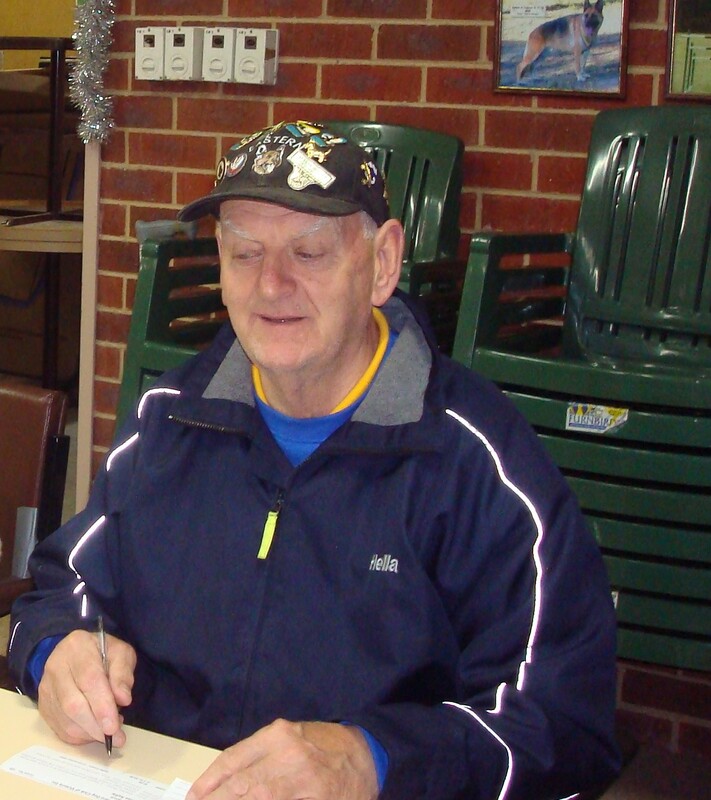 Currently Graeme is serving on the Main Committee as treasurer and has done for a number of years. Graeme brought the club into line with GST Compliance to our Accounts, Centralised our Banking with NAB, A Complete Insurance Review, An Update of our Accounting System to MYOB, Review of the Branches Treasury processing, Taken the initiative to invest Club funds with high returns, etc. Most of this without fuss or assistance. 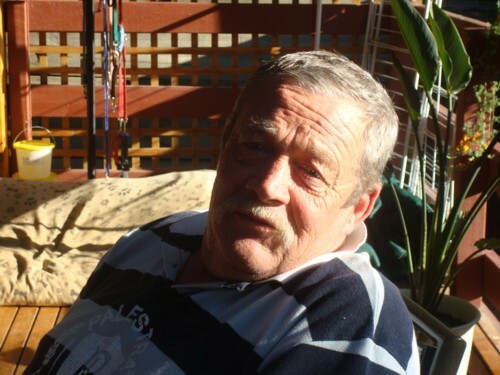 The Role of Treasurer has brought Graeme fame for the phrase “NO, YOU CAN’T HAVE IT”. Graeme has made himself available for all areas of the Club over many years. If at any time the Club requires help, it is only a matter of a phone call. He would help with the request without any fanfare. He has the best interests of the Club at heart, and always has the reputation of the GSDCV in mind, whether being out with his own dogs, or being involved in Club activities. His concern for the future of the breed is foremost in his actions. He is keen to develop broad support for the German Shepherd Dog. Graeme Jacobs has been recognized by the Club with an Outstanding Service award and in 2009 Life Membership. Ben is one of those Characters around the Club who has become an institution not just a valued member. His commitment to the Club actually pre dates his membership having initially been accepted as a member of the Karman Breeding Foundation. In later years he and his family became successful breeders competing actively both in Conformation and Obedience. Ben joined the Club in 1984 where almost straight away initiated weekly raffles and fund-raising which is now practiced throughout the Club. Ben was a major force in raising funds to build our magnificent Clubrooms as well as sourcing much of its furniture. Branch Manager 1995-1997, Assistant Branch Manager for four years, a Committee member since commencing with the Club and still manages Fundraising for the Branch. Ben was also an Instructor for over 20 years and has only recently stopped due to ill health. Today Ben works with the Branch in managing Sausage Sizzles at Bunnings where his is well known and conducting the weekly Raffles. He is a face around the Branch every Sunday morning that welcomes our members to the Branch. Apart from his work with the Eastern Branch, Ben has also helped numerous other Branch’s and the Club as a whole. For his work with the Club, Ben was recognised with an Outstanding Service Award and last year was awarded Life membership. Margaret was one of those most dedicated members both to the Branch and the Club as a whole. 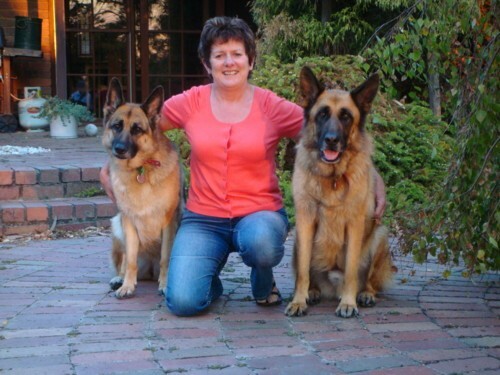 Margaret’s passion was her beloved German Shepherds and the Club having joined Eastern in 1977. Margaret was elected Branch Manager at Eastern in 1984 becoming the Clubs first female Branch Manager. Margaret continued in that role for ten years and became instrumental in the building of the Eastern Club House. 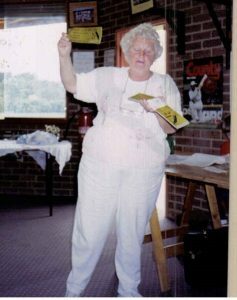 Apart from her role and activities at Eastern, Margaret sat on a number of Trail and Show Committees, was a long serving Obedience Instructor, sat as Club membership Officer, managed many catering events at official National Trials and events and fully committed herself to the Club. In 1989 Margaret was awarded the Clubs “Outstanding Service Award”. Due to Margaret’s outstanding efforts for the Branch, the Club and the Breed, Eastern Dedicated the Club House the “Margaret Valastro Pavilion”. Burnice joined the Club in 1972 when it was a one branch entity located at Kooyong (the Blind Institute). At that time she was involved in showing, getting the Club off the ground and promoting the breed. 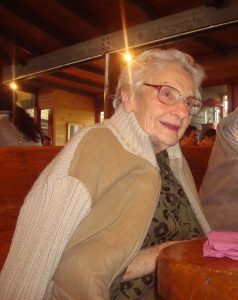 During her time as a member of the Club she showed many dogs and they attained many Excellent awards. Burnice has been actively involved in all Club schemes and activities, helping new members with her extensive knowledge of blood lines and freely giving advice regarding blood lines and breeding. 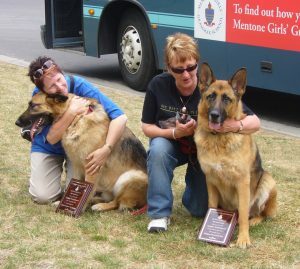 As you can see from this short resume Burnice was actively involved in the conformation ring, but her main aim was to encourage new members to actively promote their dogs either in obedience, conformation or just as a family pet as all these aspects of the GSD are very important in society today. Burnice was awarded Life Membership of the Club for her assistance to members, ongoing support of all aspects of the GSD and her input to Club activities. It’s not often your graced with world beating champions at your Club but here are two very special Dogs (and ok handlers). 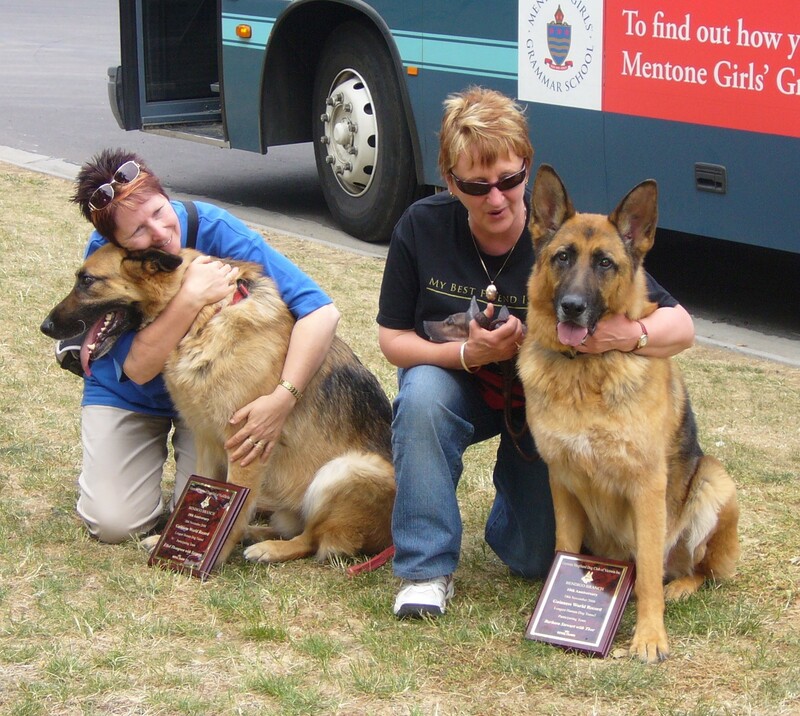 Sarge on the left and Thor on the right, in 2006 they competed in the Guinness Book of Records for the longest human Dog Tunnel hosted by the Bendigo Branch. 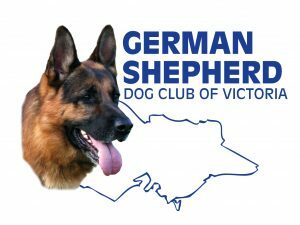 With a record needing to be beaten from the US of 382 people, the German Shepherd Club over came the odds and with a number of competing dogs broke the record by five and set a new world and Australian record of 387 pairs of legs. Sarge and Thor are True Champions. If you ask them nicely, they will sign Autographs. Denise and Reuben Nicholson live on a lovely 10 Acre property in Clematis. A long winding driveway through the property meets up with the Home overlooking the valley below. While away on an overseas holiday in 2008, Denise’s brother, Tony, came and lived in their house to look after the property and animals. When they left early Saturday, Tony seemed perfectly happy and in good spirits. All was going well and the following morning, after feeding the dogs and the horse, he went up the long driveway to collect the paper at the front gates. Exactly what happened next is a bit unclear but Tony found himself on the ground with both Kaiser and Morgan licking his face profusely, he had had a massive heart attack and the dogs were responsible for bringing him round! He managed to get to his feet and the dogs walked, one each side of him, to steady him as he made his way back to the house where he was able to call an ambulance. He was rushed to hospital and underwent a triple by-pass operation. Extremely lucky to be alive! The family believes that the two German Shepherds saved his life. Everyone was amazed and the whole family will be forever grateful to Kaiser and Morgan. In 2008 Eastern Branch awarded Kaiser and Morgan “Hero Awards” in recognition of their wonderful deed. It proves just what fantastic dogs German Shepherds are, indeed how very in tune and sensitive they are to the needs of man – they are certainly our best friends.